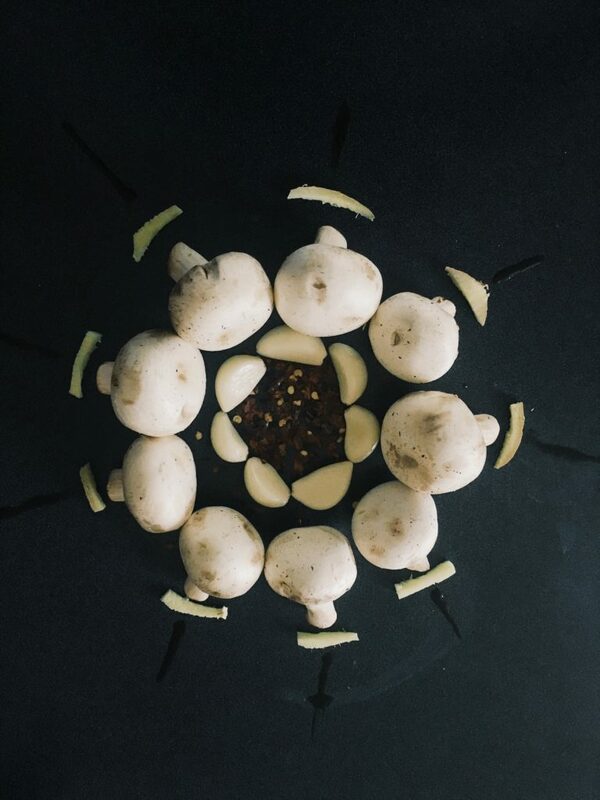 I love mushrooms. Mostly the white button kinds, but now I like the hardy shiitake and the cremini as well. I generally stop with these as they are the most commonly used ones on pizza, pastas, or soups. I use the white button mushrooms the most of course and they blend so well with the Indian dishes and spices and are such a quick hearty dish to make on a weeknight! In the process of searching for snacks to eat while on the low-carb high-fat diet, eating melted cheese and macadamia nuts does get a bit boring after awhile. Mostly, the hunger doesn’t overpower but that tongue occasionally craves for something to munch on and this works great as is or as an accompaniment to your salad for lunch or dinner. 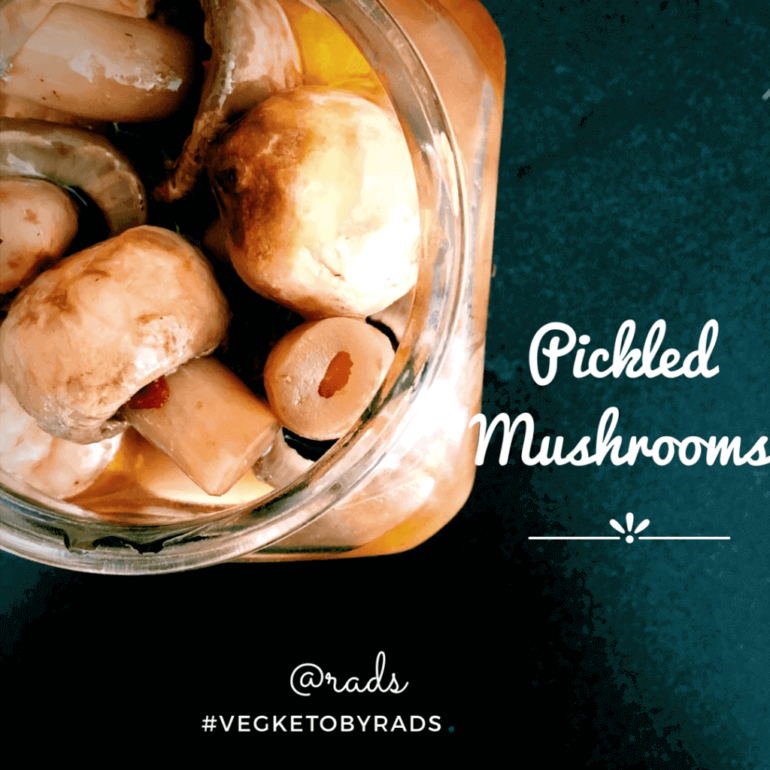 Mushrooms absorb quick, and this pickle can be ready if you make them the evening and leave it overnight and pack it into your lunch bag in the morning. They are low carb, and guilt free and with the tang and spice and juice, they hit the spot really well. 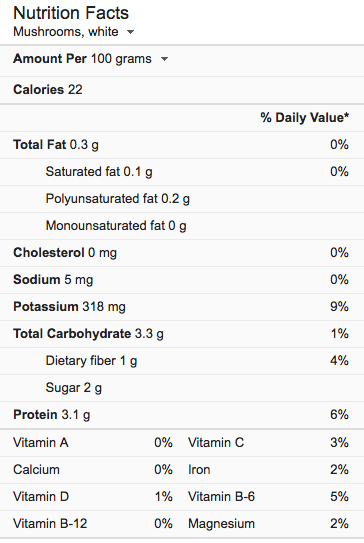 As you can tell, their net carb is 1, and that 2 grams of sugar is for an entire cup of mushrooms, so we are good to go! Used 8 oz packs of mushrooms stalks included. Wiped them down with a wet paper towel and let them air dry a bit. In a large saucepan, add all the above ingredients except the mushrooms. 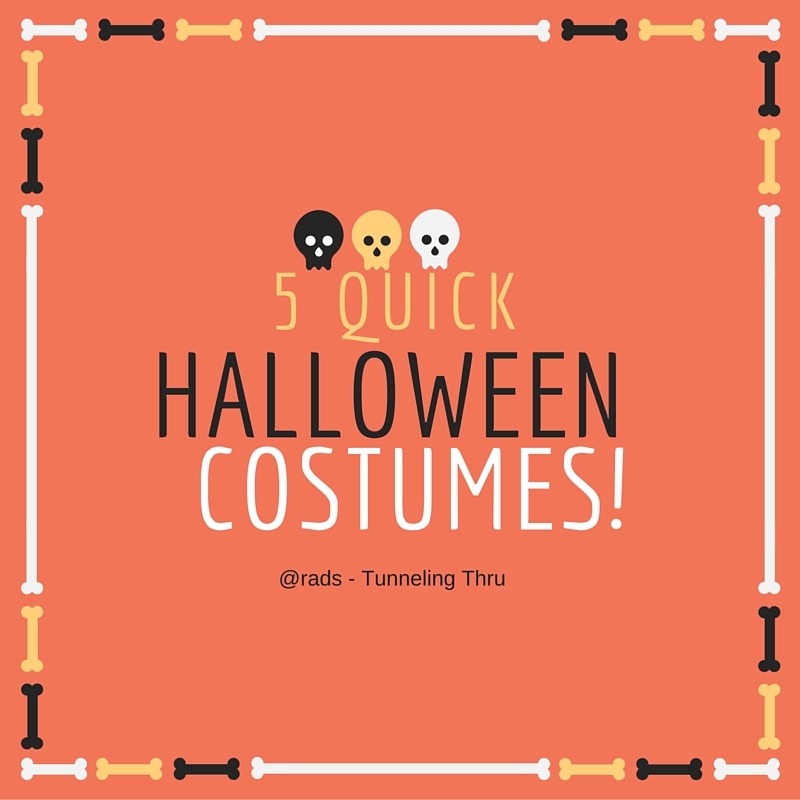 Let it come to a gentle rolling boil and remove from heat – usually within 5-8 minutes. Add the mushrooms now and let it all boil together for 10 minutes. Once it cools, remove the mushrooms into a jar/container, and add the liquid until the mushrooms are covered and under. Doing the taste test is good once the mushrooms are cool. Adjust spices accordingly. 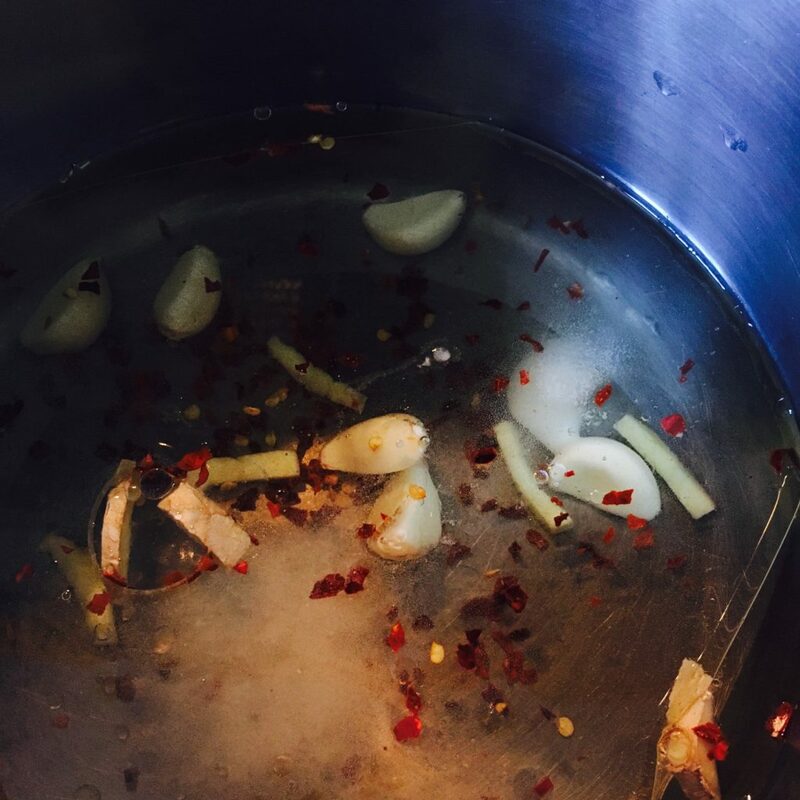 As I always mention, I like to keep the tastes simple and basic, so just the red chilli pepper, and ginger gives enough heat. 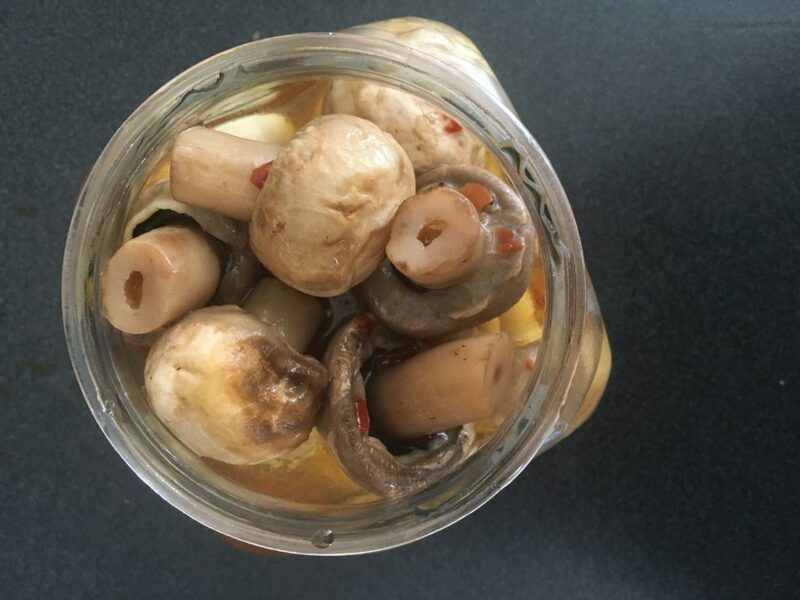 Excellent low carb snack that is tasty and guilt-free and when eaten with some bread or crackers and cheese, the pickled mushrooms are just incredibly delicious! Enjoy and let me know if you make it and if you make it any differently? 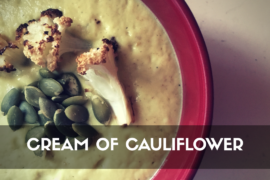 If you like this recipe and if you’d like to check out the other low-carb recipes I have, click the link below. This is part of the #AtoZChallenge that’s running around blog circles this month and I’ve been making my way through the alphabet.